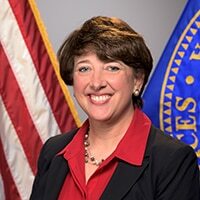 Ms. Kavanagh is the Deputy Associate Administrator of the Maternal and Child Health Bureau (MCHB), part of the U.S. Department of Health and Human Services' Health Resources and Services Administration. MCHB’s mission is to improve the health of America’s mothers, children and families. Its Title V Maternal and Child Health Services program serves over 61 million pregnant women and children in the United States, comprising 84 percent of all pregnant women and 63 percent of all infants and children, including those with special health care needs. Ms. Kavanagh has served as the Deputy Associate Administrator since April 2015, with a focus on improving the transparency, accountability, and evidence base of MCHB's programs and initiatives. Her 30-year career in government and academia demonstrates a clear commitment to improving maternal and child health, with emphases on teaching, mentoring the next generation of MCH professionals, and advancing a diverse array of programs for underserved communities. Before recently re-assuming her current role as MCHB’s Deputy Associate Administrator, Ms. Kavanagh served as the Acting Administrator of MCHB fom October 2017 through October 2018, where she oversaw MCHB's $1.33 billion budget, providing strategic vision and ensuring that programs were designed and implemented to achieve sustainable results. Previously, Ms. Kavanagh led the MCHB Division of MCH Workforce Development; the MCHB Division of Research, Training and Education; and the MCHB Autism Initiative, a cross-division program that included research and training. Prior to her tenure at MCHB, Ms. Kavanagh conducted health policy research at Georgetown University’s National Center for Education in Maternal and Child Health for 14 years and taught in the graduate public policy program. Research areas include evaluation of the national MCH training program, development of MCH performance measures, effectiveness of outreach strategies for access to children’s health services, and evaluation of the Healthy Tomorrows Partnership for Children program. Recognitions include the American Academy of Pediatrics Section on Developmental & Behavioral Pediatrics Dale Richmond/Justin Coleman Lectureship Award, the National Public Health Leadership Institute fellowship, and the American Public Health Association’s Maternal and Child Health Young Professional Award. Ms. Kavanagh earned a Master of Public Policy degree with an emphasis on health policy analysis from Georgetown University, and a Bachelor of Arts degree in interdisciplinary studies from the University of Virginia. She enjoys spending time with her husband and two adult children.